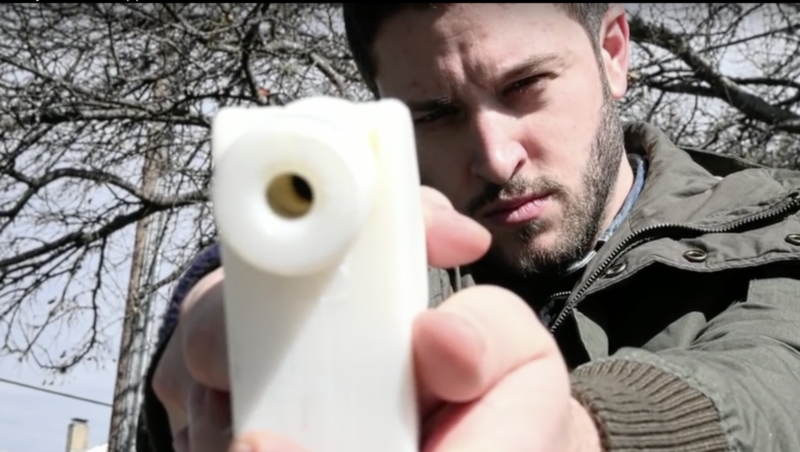 The controversial founder of Defense Distributed, a manufacturer of machines for 3D-printed firearms, told CoinDesk that despite its niche appeal, his company is flourishing. Founded in 2012, Defense Distributed has evolved into a multimillion-dollar operation that today generates 10 percent of its revenue from bitcoin. But it’s not particularly surprising the cryptocurrency community would be supportive of the project. Wilson has been a part of the scene for some time, most notably helping Amir Taaki co-create DarkMarket, a peer-to-peer online marketplace designed to sidestep legal and regulatory restrictions through its use of bitcoin. If past trends are any indication, this support should not only continue but grow – according to Wilson, the company is gearing up for its most lucrative quarter yet. Last year, Defense Distributed generated $2.7 million in revenue, a 7 percent increase year-over-year, and to date Wilson says it’s sold about 4,000 machines. This year, however, Wilson expects that figure to escalate thanks to the increased willingness of bitcoin holders to spend as the value of their holdings increases. A self-described cryptoanarchist, Wilson’s work with both 3D-printed guns without serial numbers, and cryptocurrency itself, is part of his work to circumnavigate government controls – an idea that some members of the cryptocurrency community have proved particularly responsive to. So, to provide his customers with a better tool to drive that process, Wilson has today revealed he’s upgrading his latest Ghost Gunner 2 gun printer. Not only has the machine’s firmware been updated to make the printer more accurate, but a number of hardware upgrades – including a spindle capable of turning metal powder into incredibly detailed pistols – have been added to make the finished products look and act more like traditional handguns. 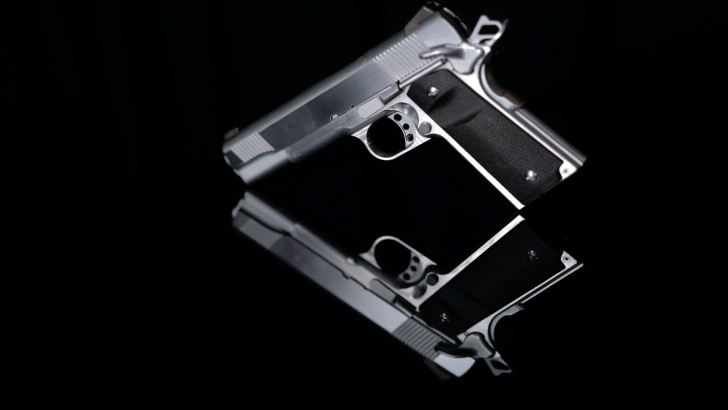 “This is basically the beginning of the automated manufacturing of untraceable handguns of a commercial grade, not of bizarre, 3D printed quality,” Wilson said. Not only is Wilson seeing an uptick in sales from bitcoin’s continued appreciation, but other gun sellers are too. In an interview with CoinDesk, Michael Cargill, the owner of Central Texas Gun Works, said his gun sales typically increase when the bitcoin price goes up. Cargill noted that his shop, which has Wilson’s Ghost Gunner 2 on sale, would have seen a drop in total sales this year if not for bitcoin. About 45 percent of his revenue comes from cryptocurrency, he said. Such a percentage of sales from bitcoin is doubly notable, seeing how Cargill can’t do business with bitcoin merchant services firms like BitPay because of their policies against on-boarding guns-and-ammo businesses – a policy which BitPay said still exists, thought the initial press release detailing the policy has been removed. BitPay and other merchant services providers have taken a conservative approach to high-risk merchants like Central Texas Gun Works, which means those businesses typically have to do a lot of the upfront acceptance work themselves. And that hesitance to work with high-risk verticals is unlikely to change anytime soon. Wilson has felt this himself, seeing strong opposition to his work in the gray area between building a machine that makes guns and actually making guns. Back in May 2013, the files he used to print the guns were seized by the Department of Justice. Then, last year, Wilson suffered a setback when the U.S. 5th Circuit Court of Appeals refused to give him the First Amendment protections he sought for the files. 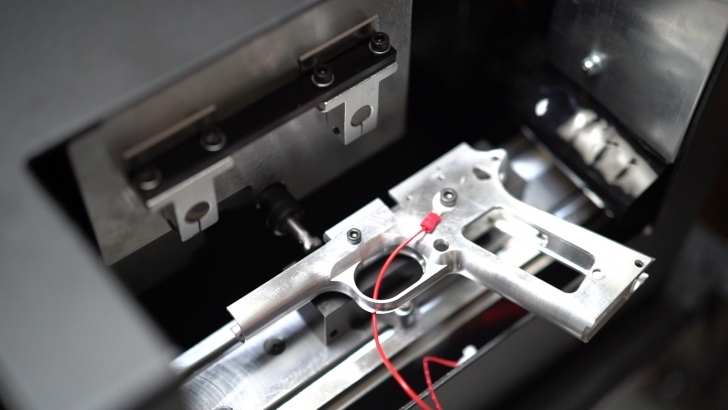 Yet, a niche community of developers has sprouted up offering their own open-source contributions to the 3D-printed gun industry, even in spite of the ongoing risk. In spite of the obstacles, Wilson continues to push forward in disrupting the $51.3 billion gun sector, expecting to keep the Ghost Gunner 2’s price steady at $1,500 in an effort to attract more sales with the price of bitcoin currently around $4,300.